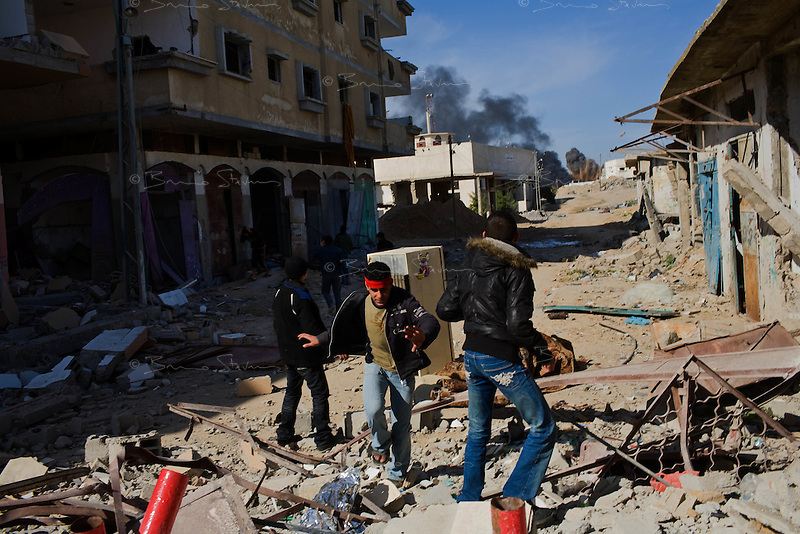 Rafah, Gaza Strip, Jan 13 2009.Desperate inhabitants try to retrieve some personal belongings in their demolished homes as Israeli F16 fighter-bombers pund the area continuously. The Philadelphia corridor (border with Egypt) is being bombed repeatedly by the Israeli air force in the hope of destroying the countless smuggling tunnels running underneath. On the 18th day of the Israeli operation in Gaza, one and a half million people are still deprived of electricity and basic supplies, as well as being unable to flee from the densely populated combat zone.